The untouched, white sands of the Mexican Caribbean still offer affordable real estate property. Costa Maya, the jewel of the Mexican Caribbean, is the last of the paradise available to buy. Boca Del Mar has a piece of this paradise...come see it for yourself! Boca Terrace Residence Club provides savvy investors the opportunity to participate in an ultra high-yielding (560-1000%+ ROI), safe, solid, tangible investment secured by prime oceanside commercial Caribbean real estate. Boca Terrace Residence Club offers a flexible plan to suit investor's financial conditions and desired financial goals. Boca Terrace Residence Club investors will share in the income generated by timeshare interval sales and will benefit from proven high acceleration rates of property values. Outstanding luxury single family homes located in Grand Cayman for the discerning buyer who expects the best. Top quality construction and finishing. Unparalleled ocean and canalfront views. Safety and security. Excellent opportunities exist. Oceanfront lots also available. Prices available upon enquiry. Grand Cayman, the jewel of the Caribbean, is a democratic British Overseas territory located south of Cuba and west of Jamaica. 5th largest financial capital in the world. One hour flight to Miami, 3 hours to New York, 4 hours to Toronto. Weather is temperate all year round and the beaches are superb. High standard of professional services (banking, accounting, legal). Excellent quality schools and programmes for all ages - a great place to raise children. Low crime rate. No income, property, capital gain or inheritance taxes. No restrictions of foreign ownership and ability to obtain permanent residence for qualified individuals. Relaxed enjoyable lifestyle. Invest, work or retire. A better lifestyle awaits you ! E-mail or call Scott at or 345-943-6001. PRICE REDUCTION. MUST SELL DUE TO PERSONAL HEALTH. "The St. Kitts Babe" - Villa Angeli de Luci- located in one of the safest and highly regarded developments on St. Kitts, offers the best frontline waterfront golf course real estate with majestic permanent unobstructed lake and ocean views, and has the only private walkway to the championship Royal St. Kitts Golf Club, the only golf course where you can play golf with the Atlantic Ocean on one side, the Caribbean Sea on the other side. Situated in a verdant olive grove covering 25.000sq.m of land, at a short distance from the sea, ‘’OLION’’ settlement consists of nineteen residences distinguished for their high aesthetics and discreet luxury. Each residence has a private entrance and two private parking spaces and provides 2-3 bedrooms, living room and kitchen, 2 bathrooms and a private garden ranging from 900 to 1500 sq.m. Beautiful Rolling Hills and Privacy 15 minutes from Regina. Custom build home 2005 and new shop 2009, fenced and cross fenced. 2 luxury villas within an area of 1300 sqm overlooking the Aegean and Mediterrenean Sea and also famous Yalıkavak Marina…. 5 bedroom (1 service, 1 suite with walk-in closet), 3 baths (1 service, 1 with jacuzzi)colonial villa on 5692 m2 parklike property. Pool, terrace, kennel,2 sheds, carport,laundry, alarm, internet and cable ready, modern kitchen, private and fully enclosed, mountain views. This unique restaurant is nestled in a lush garden of flowers and exotic trees. This place is a dream come true to anyone looking for a successful business in a tropical paradise. Lomalagi is a working coconut plantation. Our 25 acres have over 1,600 feet of beachfront. The grounds are extensively landscaped and we have used wide wooden walkways throughout. The grounds and walkways are lighted at night with green lighting, a truly lovely effect. There are six HUGE villas, approximately 1,200 square feet each. Fully functional 3 star hotel business for sale. It is 112 hectares, (276 acres) with a small cottage currently lived in by the tenant farmer. It produces bananas, avocados, mangos, cacao, plantains, mandarin oranges and coconuts along with some open pasture suitable for cattle grazing. It has electricity and water. The River Tiaone, which is about 30 meters wide, flows through the property. 200 hecktares Farm ready to production to sell, in beautifull highest point in the area Chololo, Cordillieren, in Paraquay, 80 km from the Capital city Asuncion. Building land Altai mountain region, SouthWest Siberia. 520,000 sqm. Developed infrasrtucture : airport, highways, resorts and recreation areas. River banks, stunning mountainous views, soft sunny climate; rafting, hunting and fishing 4 seasons. All facilities for constructions. Price $160,000 per 1 hectare, $16/sqm . Sabotage Club - Business for sale. A great opportunity for those looking to run a successful business for the summer period, on the touristic island of Zante, one of the Ionian Island gems. Established 5 years,located on renowned Lagana "party" main street. 1st floor club with balcony overlooking main strip/beach. 500sqm, 600 people capacity. Fully equipped, with state of the art sound and lighting. 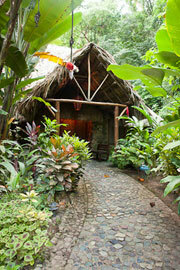 Luxurious, turnkey jungle retreat gently placed on 93 acres in the tropical rainforest along the Congrejal River. Offers breathtaking waterfalls, miles of hiking trails, restaurant, pool and bar. The Pico Bonito National park are just steps away. Ideal for healing center, spa, corporate retreat, B and B, river rafting, bird watching, wedding or honeymoon destination. Video upon request. Thownhouse for sale in Margarita Island - Venezuela! This townhouse is in moving conditions and located close to everything! 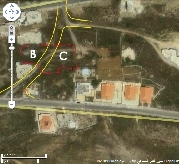 1-Land no: 834 Bahamdoun aldiah -Ally, total of 2426m2 divided by road in two zones /ertefak watakteet number 898/ Ally . divided in two zones Zone C 30%(1160 m2) ,Zone B 40%(890 m2) is the investment ratio. Opal stone, a symbol of freedom and independence, happiness and compassion. With an open living area of 42 sq. meters that can be closed with the aid of folding windows when necessary joining on to the 60 sq. metre living room, you can enjoy your view all year round in the midst of natural surroundings. In addition to which, the 62 sq. metre timberdecked terrace enables you to bask amidst every tone of green and the heady scent of the flowers in your garden. From the upstairs bedrooms of this villa and the master suite, you will wake up each day to the colourful view of Kuşadası, and while gazing out on this view from the luxury of your Jacuzzi you will fall in love with your villa.